Sphynx and Rex breeds are the most unusual looking in the world of cats. Rex, who are divided into the Cornish and Devon varieties, have short, wavy coats with no overcoat layer of fur. Sphynx are known for their “nakedness”, though have degrees of hairlessness. Both breeds are known for their extremely social, friendly personalities. Neither breed is hypoallergenic. Rex have minimal coat grooming needs; however, many tend to have waxy ears that need to be cleaned regularly and thoroughly to avoid infections. Sphynx, despite their lack of coat, can be very high maintenance. Without a hair coat, many of them tend to be “greasy” with body oils and must be bathed regularly (though not too much or they develop skin problems). Light colored furniture and bedding can be stained from an oily cat. Their ears also need constant care due to wax buildup. These breeds tend to have digestive problems, so it is critically important that these cats be kept on extremely high-quality food. For more information, please see our “Nutrition” page. 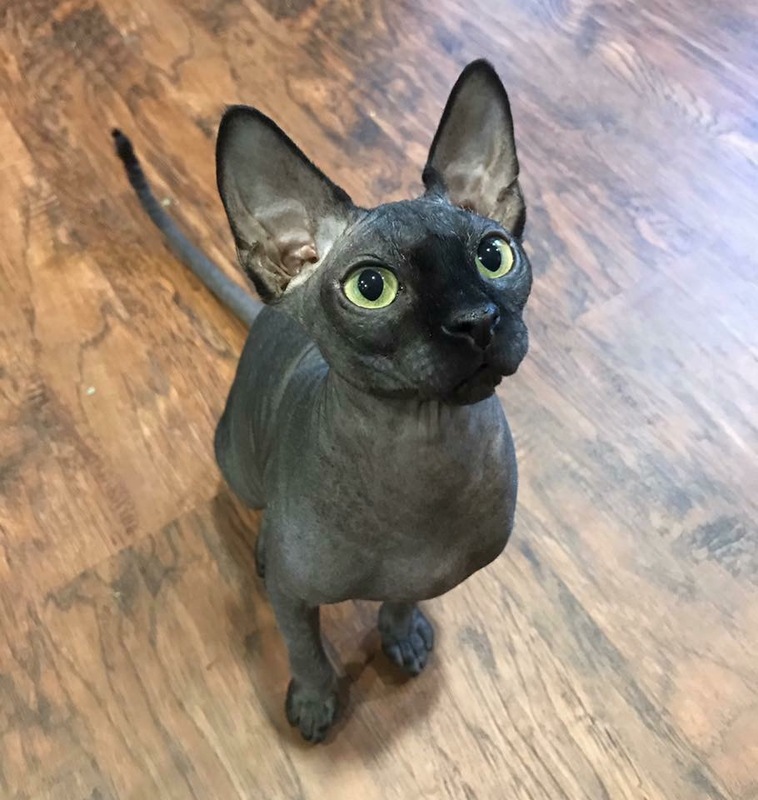 Sphynx and Rex are very prone to heart problems, joint issues, bad teeth and severe digestive issues. They also tend to be very susceptible to fungal infections. These are expensive breeds to care for properly. Sphynx and Rex thrive on owner attention and can often be considered “Velcro kitties”. Most love to be held close and doted on and anyone considering these breeds MUST allow them to snuggle in bed with them. They are typically extremely active and playful cats that do well with other pets and kids.